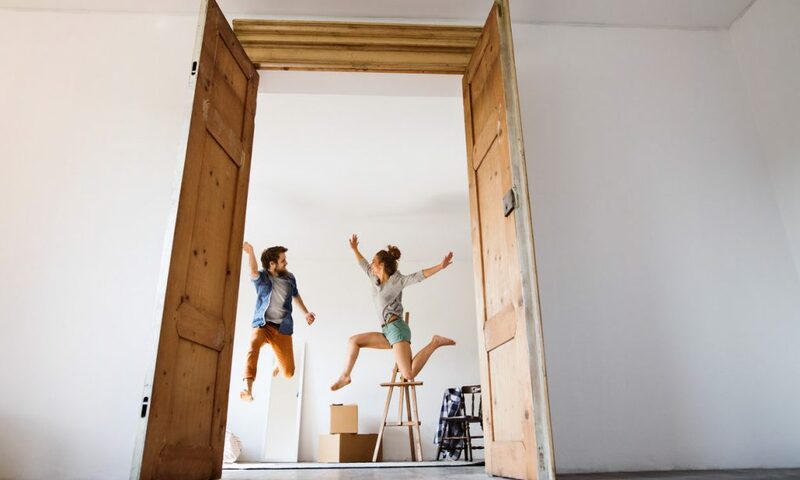 While down payment programs vary greatly by state and community, there are some universal steps that will help you stay on track if a homeownership program is part of your home financing plan. Let’s look at how it worked for one Florida buyer recently highlighted in Business Insider. Willy Harris, 24, and his girlfriend used a Florida first-time homebuyer program to purchase a $204,000 new construction home in Jacksonville, FL. The program allows first-time homebuyers within qualified income and purchase-price limits to receive up to $15,000 in secondary financing toward down payment and closing costs. If the homebuyer lives in the home for five years, the secondary loan is forgiven. Harris used a FHA home loan that required a 3% down payment. They put down a $1,000 deposit to reserve the lot, while the grant covered their $7,750 closing costs and $6,150 down payment. The remaining amount of the grant went toward the principal of the home loan. Because they put 3% down, they also paid a monthly mortgage insurance premium of $109. Their first mortgage payment is currently $1,503 a month. Harris recommends setting up a budget and savings plan, and researching programs that can give you a boost. Do some upfront homework. Research local homeownership education and counseling resources that can help you with the process. Determine your budget. Figure how big a monthly mortgage payment you can afford on your salary. Don’t forget that your mortgage payment may include taxes and insurance too which you can estimate. Create a savings plan. Build a spreadsheet (or use an app) to track your expenses. Research down payment assistance programs in your area. Contact the agency offering the program or a homeownership counselor who can help you with the process. Both the buyer and the home must qualify for the assistance. Find out the home price limits and any community or neighborhood boundaries for the program that may impact your home search. Find out if you can use the program on new construction. Get a list of participating lenders for the homeownership program, available on the program provider’s website. Not all lenders offer every program. Get prequalified for a loan so you can review the numbers and make an educated decision on the type of financing. Compare offers and ask lenders about any other programs for which you may qualify. You may even be able to layer programs, for example down payment assistance plus a tax credit. Review mortgage insurance options with your lender. Complete homebuyer education courses that are often required when using a down payment assistance program. Ask about your options for using the funds. Can they be used for down payment or closing costs, or both? Get even more answers to Gen Z home financing questions from a Realtor.com economist. Good luck!